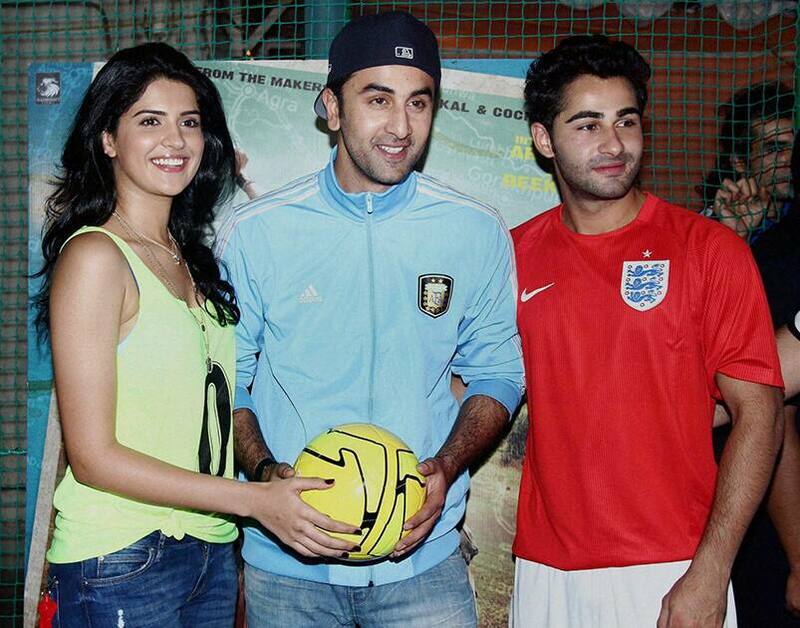 Bollywood actors Deeksha Seth (L) Ranbir Kapoor and Armaan Jain at a promotional event for an upcoming film Lekar Hum Deewana Dil in Mumbai. Models walk the ramp during a fashion Show in Jaipur. Moran Atias, Olivia Wilde and Loan Chabanol attend a screening of 'Third Person' hosted by the Cinema Society and Revlon, in New York.